Driving high-quality prospects to your website is only 1/2 the battle. If those prospects aren’t converting into leads, your site isn’t doing its job. Did you know that according to a study done by Adobe in 2013, the vast majority of companies surveyed spend less than 5% of their entire marketing budgets on improving how their sites convert? That’s like paying your sales team commission on leads and not on sales! So what is “Conversion Rate Optimization”? It’s the science & art of using psychology, direct response copywriting, and a whole lot of testing to increase the percentage of people who convert into a lead from your site. For example, let’s say you offer free water testing and have a special page that talks about the benefits of geting a water test. Every month 100 people visit that page and about 7 of them fill out the web form or call you to book a free water test. That means you have a 7% converions rate (7/100 = 7%). Now, imagine creating a new page based of data that shows that people don’t scroll down the page far enough to see the call-to-action or the form. Based on this data you create a new version of the page that offers a more compelling headline, value proposition, and direct response copy and you move the form & call-to-action further up on the page. Then you show 50% of people the original page and 50% of people the new version and see which converts more visitors into leads (web form submissions and phone calls) at a statistically significant level. Essintially, if the new version wins, you now pay less per lead without spending any more money! This is THE MOST powerful way you can supercharge your marketing and dominate your competition! 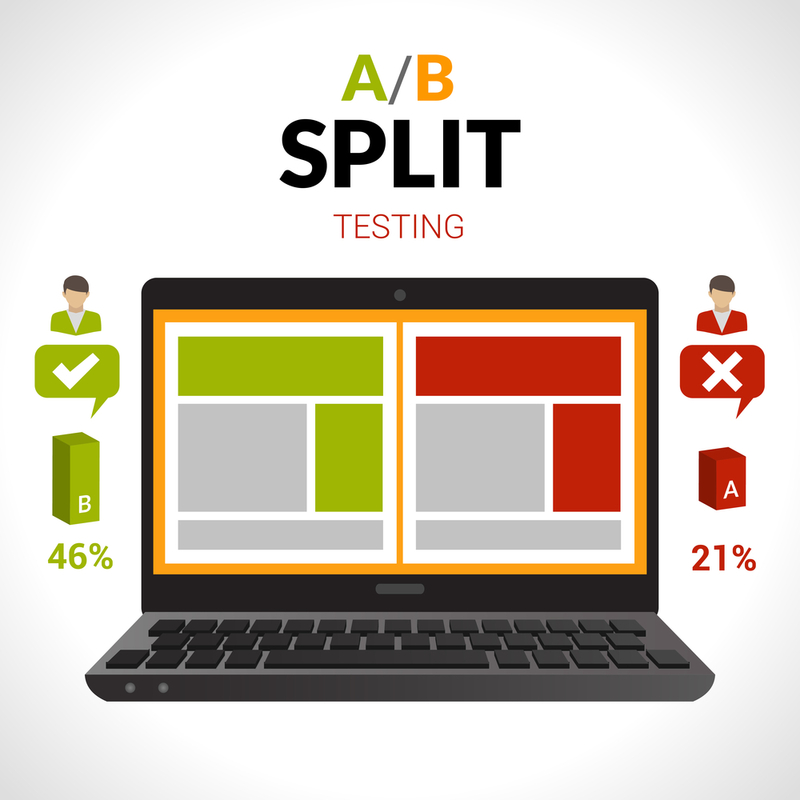 As with most things, split testing is only as good as the hypothesis that is being tested, which is why our team comes uniquely equipped to help you improve your site. We’ve run over 800 scientific split tests on water treatment websites and we know what makes your prospects convert into leads. To learn about how we can help you improve your site’s conversion rate, schedule a free strategy call today!